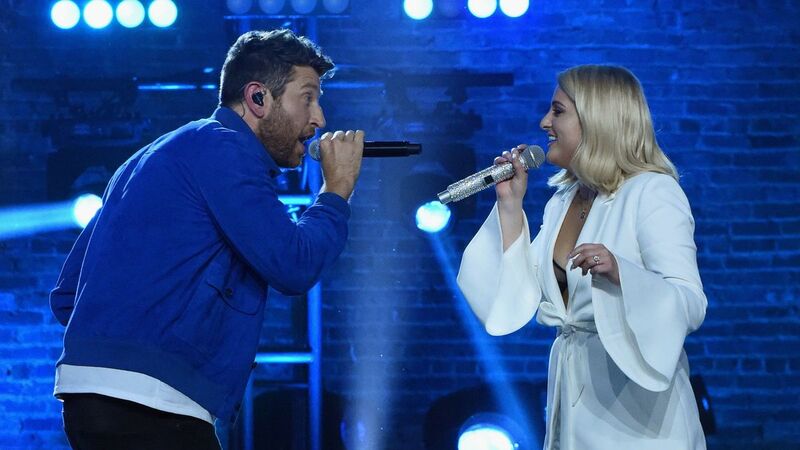 CMT Crossroads has found its next match in Brett Eldredge and Meghan Trainor. The two stars will take the stage in the latest episode of the cross-genre show that brings artists of different musical styles together for a unique performance. Eldredge and Trainor first sang together on “Baby It’s Cold Outside,” which is featured on Eldredge’s Christmas album, Glow. The song will be part of the CMT Crossroads episode, along with Trainor’s hits “All About That Bass,” “No Excuses” and “Let You Be Right.” The duo will also perform several of Eldredge’s tracks such as “Wanna Be That Song,” “Drunk on Your Love” and “Haven’t Met You.” You can see the episode featuring Eldredge and Trainor when CMT Crossroads airs on Sept. 3 at 10PM ET.